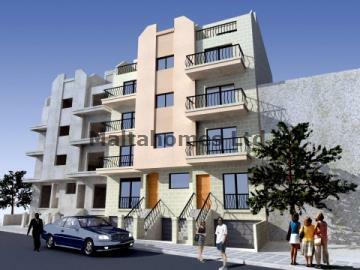 A brand new three bedroom Apartment situated on the fourth floor. Finished to a standard you would expect of a newly built block. The Apartment occupies a quiet and tranquil location, whilst not a far walk to all amenities. Finishings, within the Apartment include gypsum/plastering, ceramic tiles with skirting, solid pine doors, aluminium apertures with double glazing, and air-condition points with copper piping.